In this sumptuously printed, large-format publication, distinguished Magnum photographers Paolo Pellegrin and Alex Majoli present a collaborative document of the Congo and its people. Bringing together the best of each photographer’s personal styles as well as experimental forays into abstraction and collage, this volume captures what Alain Mabanckou describes as a full range of the landscape, “from urban scenes to great forests and back, reflecting the way it is in most African societies today.” With no captions or individual photo credits, the densely printed images—presented on full-bleed pages, as gatefolds, or as double-spread gatefolds—become wholly immersive. Mabanckou writes in his introduction that, “for the duration of this project [the photographers] must have become full-time ‘Congolese,’ living with the people in cities and in villages, sharing their joys and sorrows, crossing rivers and floods, stepping over public garbage bins, mingling with crowds of wildly excited children, roaming the banks of tributaries and streams, watching the endurance of the river dock workers.” The outcome is a profound study of Congo, and the resulting object exemplifies the expressive possibilities of contemporary documentary photography. 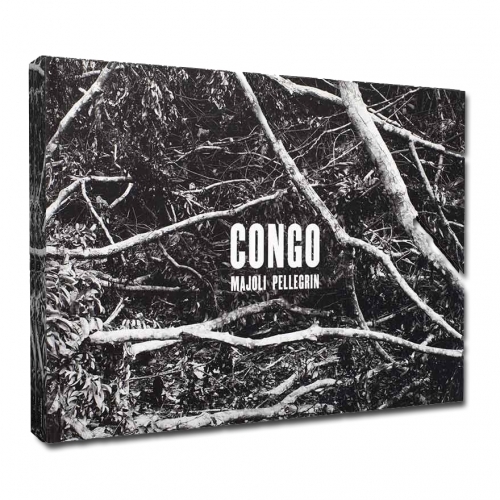 Congo is available in a limited run of 500 copies in the English Language. The proceeds of the sale of this book go to Lynx for Hope, a non-profit dedicated to cultural development programs. Paolo Pellegrin (born in Rome, 1964) has won several World Press Photo awards and numerous prizes for Photographer of the Year, including a W. Eugene Smith Grant and the Robert Capa Gold Medal, among others. He has published over a dozen photobooks and has been a member of Magnum Photos since 2005. Alex Majoli (born in Ravenna, Italy, 1971) became a member of Magnum Photos in 2001. Throughout his photography career, he has documented conflict worldwide, including assignments for the New York Times Magazine, Granta, National Geographic, and Newsweek. Alain Mabanckou (literary works) is a widely acclaimed novelist, poet, journalist, and professor of literature at the University of California, Los Angeles.